When we talk about Rishikesh it is a beautiful hill station which is pure and known for historical purpose. This place is a great hub of watersports and other such activities which make it a very common tourist destination. When we talk about vacation, the one thing which fascinates us most is the food. So unlike other places, there are several dishes which make Rishikesh a special one. Given below is the list of those food items which are a must try here. When we talk about famous dishes, Samosa is not a miss. It is a deep-fried snack that has a stuffing of spicy potato filling. For a number of people in Rishikesh, Samosa is the staple breakfast. The snack is loved when you have it with a hot cup of coffee or tea. It can be experienced in every corner of the town. Some food joints go versatile with the fillings as they try mango-, apple- or even chocolate-filled samosas. So you must try all these when in Rishikesh. The best place to try this is the Rajasthani restaurant which is situated near Triveni Ghat. Rishikesh is a beautiful place which is known for its purity and spirituality. 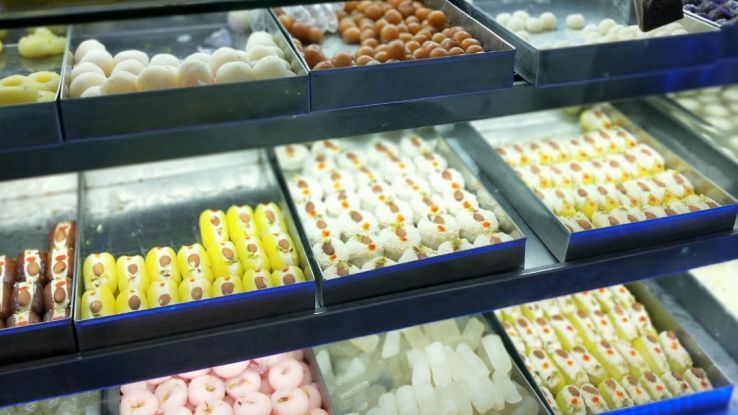 However, the city is also famous for its variety of sweets that are served here. 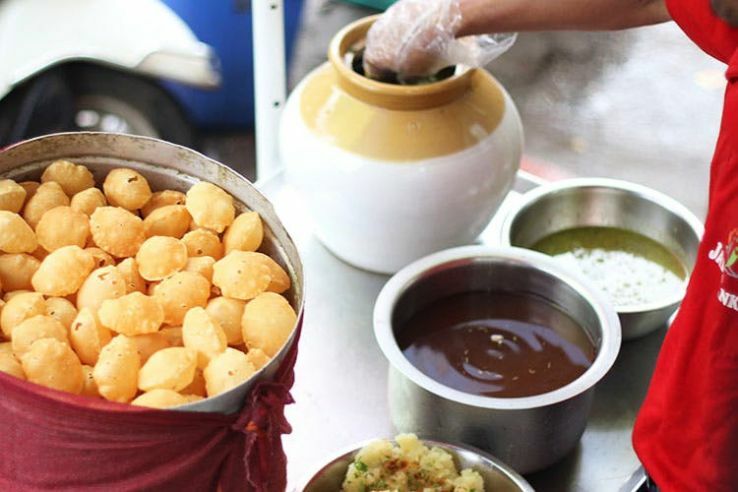 The sweets which you can enjoy here are made of pure ghee and ooze lusciousness with every bite you consume. Besan ki Barfi, Nariyal Barfi and Besan Ladoo are must-try dishes here in Rishikesh. The best place to try here is Geeta Bhawan Swargashram over here. 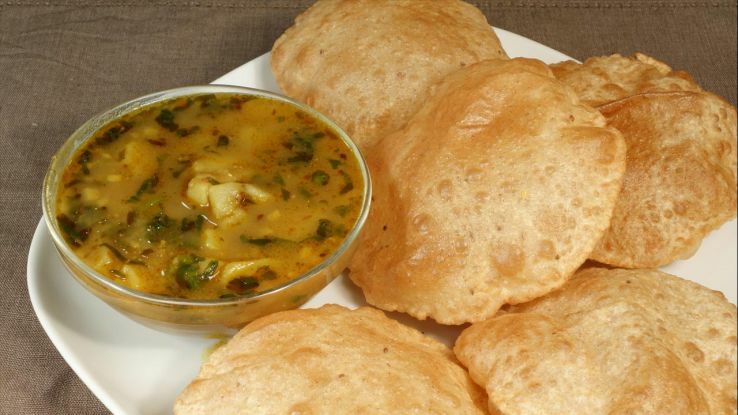 Aloo Poori is a conventional breakfast which is served all over the country and Rishikesh is no diverse. It comprises of potatoes cooked in spicy gravy along with a deep-fried bread which is known as poori. Rishikesh is famous for the aloo poori which is served along with curd. This breakfast is normally served in dishes twisted out of dried leaves, giving you a natural vibe when you eat out of it. Try this at Surat Ki Mashoor Aloo at ’60s The Eat Story which is just mouth watering. Pani Puri is basically crispy wheat gram pockets which have a filling of spiced water, with a variety of fillings which comprises of mashed potatoes to boiled chickpeas. This is one of the most famous India’s street foods and can be tasted in almost every part of the country. 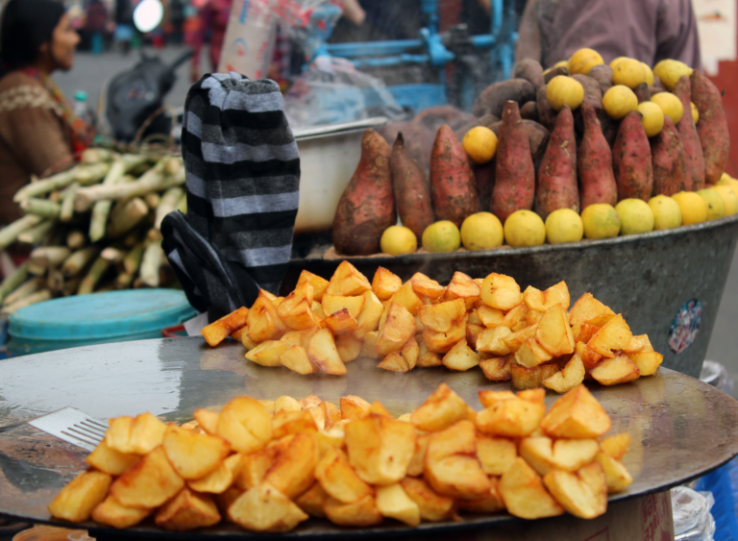 Rishikesh has a number of place such as from hawkers to the restaurants who serve this snack. The special tamarind chutney in Rishikesh is what most Pani Puri lovers look forward to tasting. The lane next to Ram Jhula is filled with a number of vendors who serve Pani Puri. Rishikesh is known for its unique flavors of ice cream that you may not have tried before. There are flavors such as caramelized banana chip cookies and spiced walnut that will have your taste buds have the best kind of experience. You can enjoy ice cream as it is sold by local hawkers or go around in the cafes of Rishikesh to try it. Freedom Café in Rishikesh is a must visit for ice creams. These are the special dishes which are a must try in Rishikesh to make the experience richer and tastier.